Magnum ME-AGS-S - Solacity Inc. 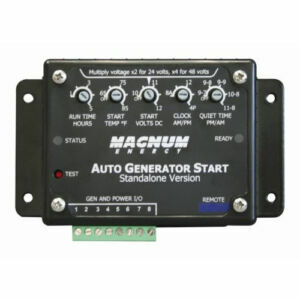 The ME-AGS-S is the “standalone” version of Magnum Energy’s Automatic Generator Start (AGS) controllers. 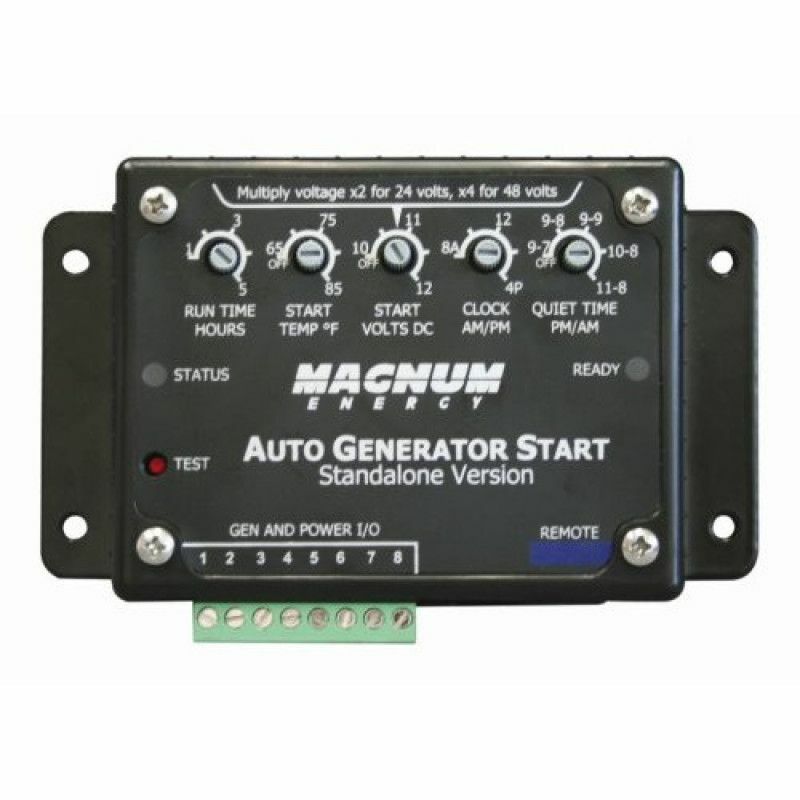 This auto generator start controller can automatically start your generator based on battery voltage or high temperature. 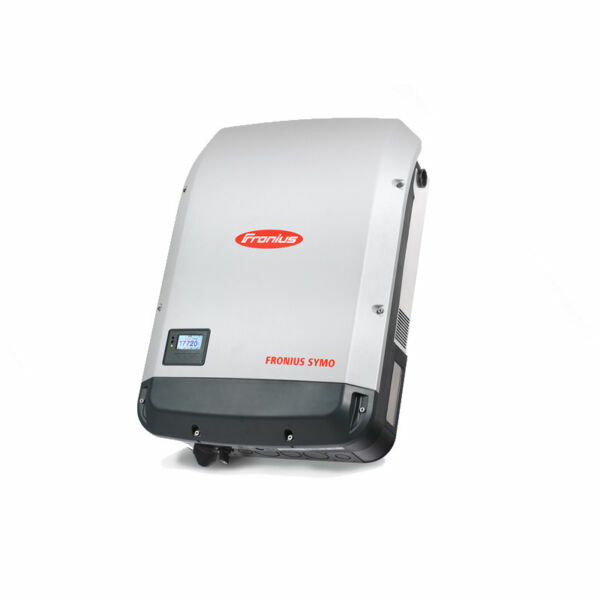 Adjustable settings include: run time, start volts DC, start temp, quiet time, and 24 hour clock.